It might not be easy being a woman in Haryana, but don’t tell 21 year old Neetu that. 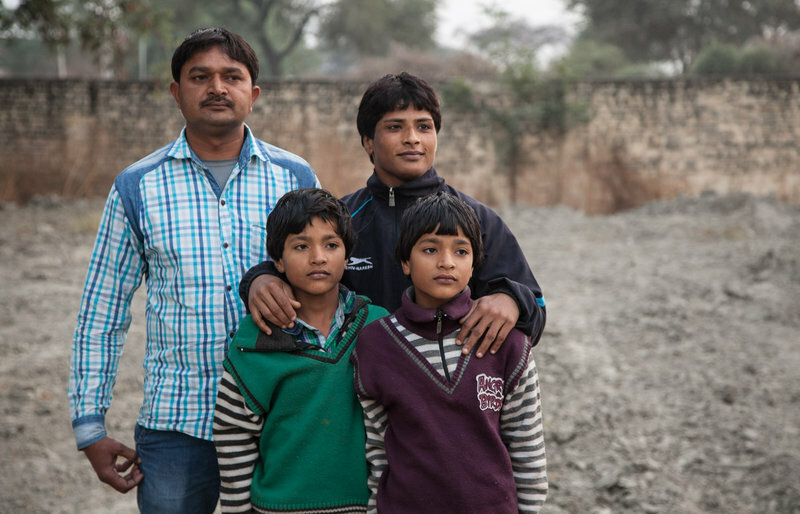 When she was married off at 13 to a stranger, and had a pair of twins at 14, her life could’ve followed the same track as is common with millions of women in Haryana – a sheltered, domestic life while working in the fields around her village. But Neetu didn’t want any of that. She chose to become a wrestler instead. Neetu won a silver medal in the National Games in Kerala in 2015, and now has her sights set on the Olympic Games in Rio this year. She’s come a long way since the time she found out that the person she had been married off to when she was 13 had developmental difficulties. He was also 30 years her senior. Most thirteen year olds would’ve crumbled, but Neetu was made of sterner stuff. She broke off the marriage, but her parents made her marry again. She became a mother a year later, giving birth to a pair of twins. She enrolled in a wrestling akhada in Rohtak. For two years, she got up at 3 in the morning, took the bumpy hour-and-a-half bus ride from her village of Bedwa, and then did her gruelling morning training regimen. She’d then return home to do the housework, then journey back to Rohtak in the afternoons for more practice. She says it was possible because her second husband was supportive of her wrestling dreams. “He’s given me a new life. He pulled me out of hell and brought me to heaven. I’m able to wrestle because of him. I’m away and we don’t have a usual husband-wife relationship. He’s made a huge sacrifice,” Neetu says.